Miller & Zois is a leading personal injury law firm based in Baltimore, Maryland. Even though we are physically based in Maryland we regularly handle personal injury cases in our neighboring states including West Virginia. Over the years attorneys from Miller & Zois have represented countless West Virginia clients in various types of personal injury cases across the state including medical malpractice, birth injuries, major auto accidents and everything in between. Like many other states, West Virginia has recently passed a handful of new tort reform laws that put various restrictions on personal injury plaintiffs. Notwithstanding these new limits, however, West Virginia continues to be a great venue for plaintiffs in all types of injury cases. 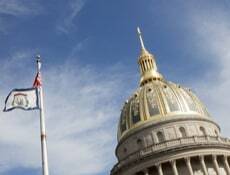 The courts and juries in West Virginia have a well-deserved reputation for being plaintiff-friendly and this more than offsets the impact of the recent tort reform laws. West Virginia Court System The West Virginia Judiciary is organized into a simple 4-tiered pyramid structure. Personal injury cases get tried in the Circuit Courts and the Supreme Court has appellate review and is the highest court in the state. West Virginia Car Accident Cases Auto accidents are the leading source of personal injury claims and lawsuits in West Virginia. Lear about West Virginia laws on auto tort claims, insurance and financial liability for car accidents. West Virginia Medical Malpractice Review the law of medical malpractice in West Virginia and examine the typical types of medical malpractice lawsuits filed in West Virginia and how much they have been worth in recently reported cases. 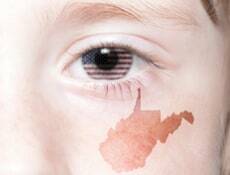 West Virginia Birth Injury Cases Every year hundreds of babies are born in West Virginia with major birth injuries such as cerebral palsy. Learn about common types of birth injury malpractice claims in West Virginia and the typical value of these cases. Other West Virginia Personal Injury Cases Miller & Zois handles all types of major personal injury cases in West Virginia including slip and falls, pharmaceutical and product liability and nursing home negligence. Value of West Virginia Tort Cases Review jury verdicts and reported settlements in recent West Virginia tort cases including medical malpractice, birth injury, auto accidents and more. The West Virginia court system is organized in a classic pyramid structure with 4 simple tiers. At the bottom tier of the pyramid are the Magistrate Courts. The local Magistrate Courts in West Virginia are often referred to as the “people’s court” because they are the most accessible and frequently used courts. Each County in the state has its own Magistrate Court with at least 2 magistrate judges. The most populous county in West Virginia, Kanawha County, has 10 magistrates and there are a total of 158 magistrate judges statewide. 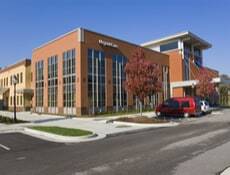 The Magistrate Courts in West Virginia hear all small civil claims (less than $5,000 in dispute) and they process minor criminal charges and preliminary proceedings for major criminal charges. In the second tier of the West Virginia judicial pyramid are the Family Courts. The family courts handle only domestic law matters such as divorce and child custody. The Circuit Courts are in the 3rd tier of West Virginia’s judicial system. There are a total of 31 Circuit Courts which are divided among West Virginia’s 55 counties. The more populated counties have their own Circuit Court and the circuits are split between multiple counties in less populated areas. Some circuits include as many as 4 different counties, but each county has its own circuit courthouse. There are a total of 75 circuit judges and they are elected to 8-year terms in nonpartisan public elections. 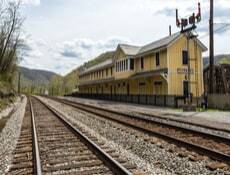 The Circuit Courts in West Virginia are the general jurisdiction courts. Any civil case over $7,500 and all felony criminal cases are handled in the Circuit Court. This is where all personal injury civil cases get filed and go to trial. The Circuit Court also hears first level appeals from decision of the Magistrate Courts and Family Courts. The civil case volume in West Virginia’s Circuit Courts varies significantly among circuits but is generally much lighter than average case volumes in other states. In Kanawha County, the largest in the state, the total number of general civil filings in 2017 was 1,614. Only 20 new civil cases got filed in Grant County during the same period. By comparison, Baltimore County Circuit Court in Maryland sees about 20 new civil case filings in a single day and sometimes even more. At the top of the West Virginia judicial pyramid is the Supreme Court of Appeals. The Supreme Court of Appeals is the highest tribunal and the only appellate court in West Virginia. 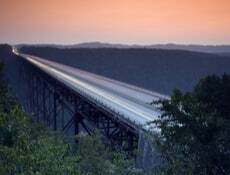 West Virginia is one of only 8 other states with only a single appellate court. The Supreme Court of Appeals has five Supreme Court justices and it hears appeals from the Circuit Courts and other lower tribunals.